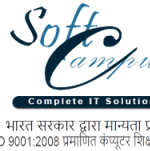 Soft Campus Technologies conducts classes in .Net Training, DTP (Desktop Publishing) and PHP. It is located in Balour, Muzaffarpur. It takes Regular Classes- at the Institute.